I came across a recipe that I really wanted to make which was Raspberry Coconut Slice (recipe coming soon) and saw that it required raspberry jam but instead of using the sugary pre-packaged type, I wanted to try making my own. So this recipe was taken from taste.com.au and I changed it around a little bit to make it more healthy. Step #1- Place a couple of saucers in the freezer, ready to test the setting point of the jam. Place the berries, sugar and lemon juice in a large microwave safe bowl and stir until well combined. Cook, uncovered on Medium/50% power, stirring after 2 minutes to dissolve the sugar, for 5 minutes. Step #2- Cook uncovered on High/100% power, stirring every 3 minutes, for 16 minutes or until jam reaches setting point. Step #3- To test for setting point, place a teaspoon of the mixture on a chilled saucer, place in the freezer for 1 minute. 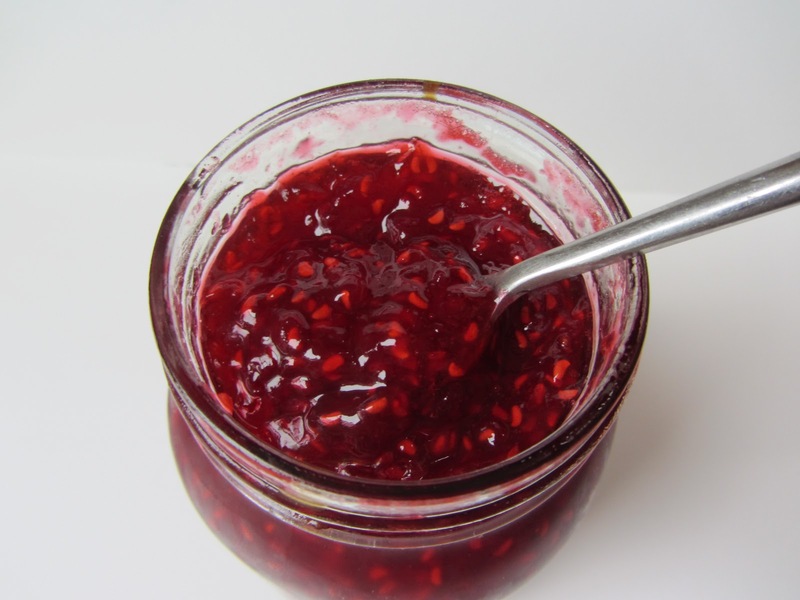 Run your finger through the jam, if the mixture wrinkles and stays separated the jam is ready. Step #4- Pour the hot jam into clean jars, turn the jars upside down for 2 minutes, then invert and leave to cool. Label and date.